Khira Molley still has a bag of her son’s belongings she collected from the hotel room where he was fatally shot four days before Christmas 2015. From time to time, she will take a piece of clothing from the bag, “so I can just smell him. So I can just feel him next to me,” she tearfully told a judge at his killers’ sentencing. 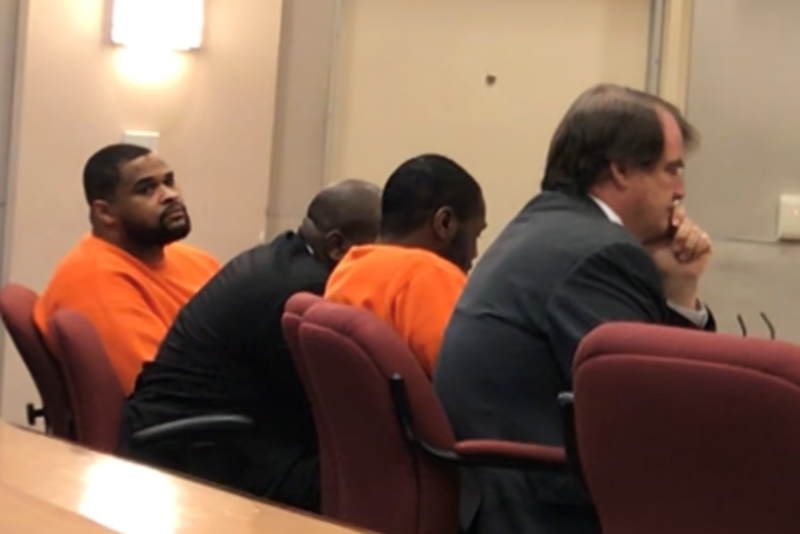 Sterling Spence, 25, and Maurice Burgess, 28, were each sentenced to 50 years in prison for the killing of Devonte Molley inside his room at the Baymont Inn & Suites Atlantic City. 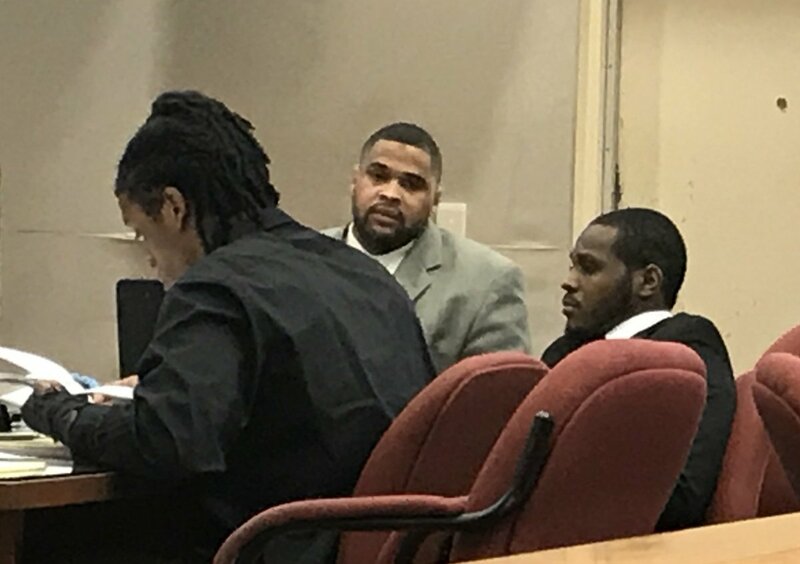 Molley, 23, was fatally shot by Spence — who had been his friend, Molley’s aunt pointed out when she spoke Wednesday before Superior Court Judge Donna Taylor imposed her sentenced. Spence testified at trial that the gun was Molley’s and that it went off as he tried to keep Molley from picking it up and shooting him. He and Burgess were convicted of felony murder at trial in January. A third man, Charles Wynn, was convicted on a lesser charge of aggravated manslaughter. His sentencing was postponed. Luana Molley, the victim’s aunt, told the judge that she and her family had to endure being laughed at and mocked by the defendants throughout more than three years of court appearances. Spence was supposed to be her nephew’s friend and even came to his funeral, she said of the betrayal. Burgess also declined a chance to address the court. Both men must serve at least 85 percent of their sentences — or 42½ years — before they are eligible for parole. With credit for time they’ve already served, they have about 39 years and nine months remaining. “I’m very happy with the sentence,” Khira Molley said outside the courtroom.